Learn about hard water problems here. 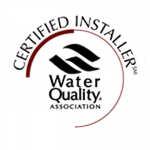 You can benefit from soft water, learn how. Water softening makes a daily difference by reducing or eliminating hard water. Water softening touches you and your family in countless ways every day. As a result, if you improve the quality of your water, you’ll improve the quality of your life. A water softening system is a least costly and most effective way to end your hard water troubles. Your water supply goes into the water softener as hard water and comes out as “soft water.” Consequently, no more hard water stains. Also, no more scaly mineral deposits, scratchy laundry, spotted dishes, or foul odors. A water softener removes the excessive minerals in your water. Calcium and magnesium ions in the water are replaced with sodium ions, produced from a mixture of water and salt. You have a continual flow of water into your home or business, therefore the salt solution becomes depleted. This is when the water softener system regenerates the supply of salt solution. This is done using the salt crystals stored in the water softener tank. This must be replenished periodically. 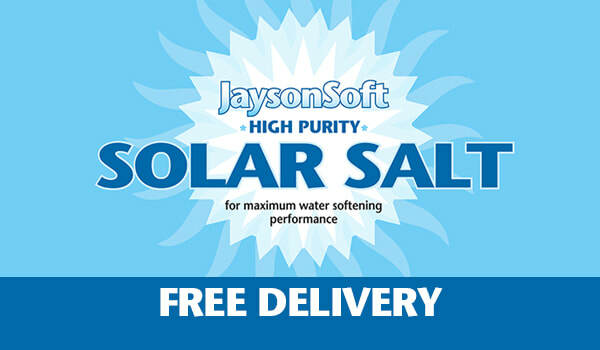 The Jayson Company provides free delivery of every water softening salt order. Some water softener systems regenerate continually. Instead, our new, highly efficient water softening systems regenerate on demand, saving energy and salt. If you have well water, water softening may also be very important. Groundwater conditions may change over time. 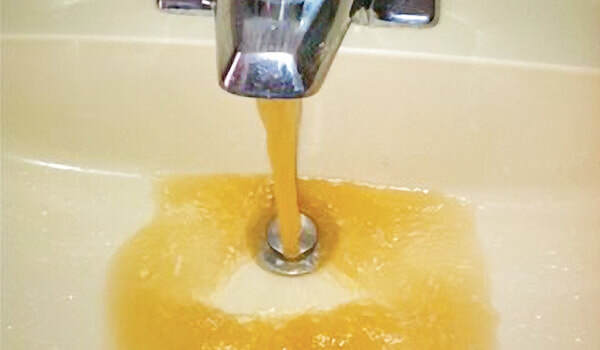 As a result, hard water, pollution or contamination can become a problem. It’s wise to periodically test your well water for hard water, impurities and bacteria. In fact, the Private Well Testing Act (PWTA) requires well water to be tested when selling or leasing a home or multi-unit dwelling with private well water. Jayson will analyze your need and provide a free estimate for the water softening system that will ensure maximum effectiveness and efficiency for your home or business. Simply call 855-JAYSON1 (855-529-7661) or click to speak with us or to make an appointment. 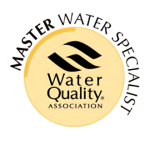 A Jayson specialist can help you decide the best water treatment system for your needs. Ask about our FREE hard water test. The Jayson Company installed a new water softening system for my multi-family home. The salesperson was punctual & knowledgeable. He described the work to be performed, where the equipment would go and tested the water hardness. I liked his willingness to educate about the system. The plumber showed up on time and the work was performed as described. He explained exactly what he was going to do, and did it. The work was completed within expected time frame resulting in bathroom tiles which look cleaner between showers, water that tastes better, water that feels silky & soap suds galore and less skin irritation – the main reason we put the unit in. My whole experience with Jayson Water Company was excellent. Josh was professional and informative and suggested a great set up for our new water system. The technicians were efficient and the water tastes fantastic. I am so happy that we decided to do the osmosis system. We have finally stopped buying tons of plastic water bottles and are actually using water that I know is healthier for our family. I have already referred my friends to Jayson, which is the ultimate compliment. We recently moved to Short Hills and discovered white salt stains on our shower walls and on all of our dishes. Our plants were suddenly shedding leaves. Many neighbors told us that we needed a water softener and that the only place to call was Jayson. One of the founder’s family members came in the early evening to accommodate our schedule. He was friendly and informed us of our options. The system was promptly installed. The next day, we discovered a leak that was due to a cracked valve. Within an hour, a Jayson technician was there to repair the problem. We received several calls to verify the repair was complete. The people at Jayson cared and provided great service when it counted most. As a result, our plants are thriving, once again. We hope to be a loyal customer for a long time!